Partly cloudy skies early will give way to cloudy skies late. Slight chance of a rain shower. Low 47F. Winds E at 5 to 10 mph.. Partly cloudy skies early will give way to cloudy skies late. Slight chance of a rain shower. Low 47F. Winds E at 5 to 10 mph. 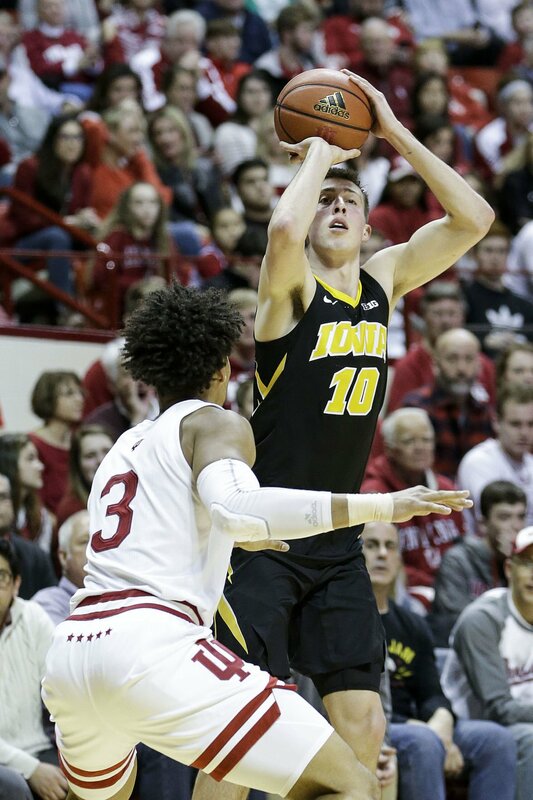 Iowa guard Joe Wieskamp (10) shoots over Indiana forward Justin Smith (3) during the first half of the team's first matchup. Wieskamp made four 3-point field goals in the first half of the Hawkeyes' 77-72 victory. Storm water in the neighborhood south of the development collects in two drainage ditches next to two streets and eventually makes its way to Hanlin's Creek. The ditches run in the front yards of residents. Shown are the Portillo's Jumbo Hot Dog and Combo Italian Beef and Italian Sausage with Sweet Peppers. A good Friday to all. Another round of rain, snow and freezing rain is heading our way this weekend. But for those who have grown tired of this miserable winter weather there is a bright side. This time next week we'll be welcoming March, which usually brings warmer and more spring-like weather. Today will be mostly sunny with a high near 35 degrees. Tonight there's a chance of freezing rain and sleet before midnight then rain. The temperature will rise to around 35 degrees by 3 a.m. The chance of precipitation is 90 percent with little or no ice accumulation expected. Little or no sleet accumulation is expected. Saturday we'll see rain before noon with a high near 39 degrees. East winds will gust as high as 20 mph. The chance of precipitation is 80 percent with new precipitation amounts between a quarter and half of an inch possible. Saturday night there will be rain and snow before 3 a.m., then snow likely, possibly mixed with freezing rain. The low will be around 26 degrees. Winds could gust as high as 45 mph. The chance of precipitation is 90 percent with little or no ice accumulation expected. New snow accumulation of less than a half inch is possible. Sunday will be partly sunny and windy with patchy blowing snow. The high for the day will be 29 degrees with a low around 8 degrees. A strong winter storm system will impact the area Friday night through Sunday. • Precipitation will start as a freezing rain and sleet mix before changing to rain. • Melting snow and rain may lead to localized flooding. • Precipitation will end as snow with light accumulations north and northwest. • High winds developing Saturday night into Sunday. • Areas of blowing snow and near blizzard conditions possible on Sunday. • Check the latest forecasts and Road Conditions before traveling, possibly postpone/cancel travel. • Allow extra time to reach your destination. • Drive & walk with caution. • Leave extra braking distance between you and the car ahead of you. • Be more careful approaching intersections and attempting turns. • Be careful walking and while going up/down stairs that may be iced over. Davenport Police have arrested a man on charges stemming from a shooting earlier this month that left a man injured. Andrew David Carr, 24, of Davenport is charged with first-degree burglary, intimidation with a dangerous weapon, and going armed with intent. The most serious charge, burglary, is a Class B felony punishable by up to 25 years in prison. Online records show that he was booked into the Scott County Jail at 9:37 a.m. Carr posted $25,000 through a bail bond company and was released at 10:04 a.m. He has a preliminary hearing March 1. At 2:50 a.m. Feb.7, officers responded to the 800 block of Pershing Avenue in reference to multiple reports of shots fired, according to an arrest affidavit filed in support of the criminal complaint. A 22-year-old man suffering from a gunshot wound was located and transported to a local hospital. An investigation into the incident revealed that Carr, who was armed with a handgun, entered the home of the man without permission. A struggle ensued between them, which led to Carr shooting the man, according to the affidavit. 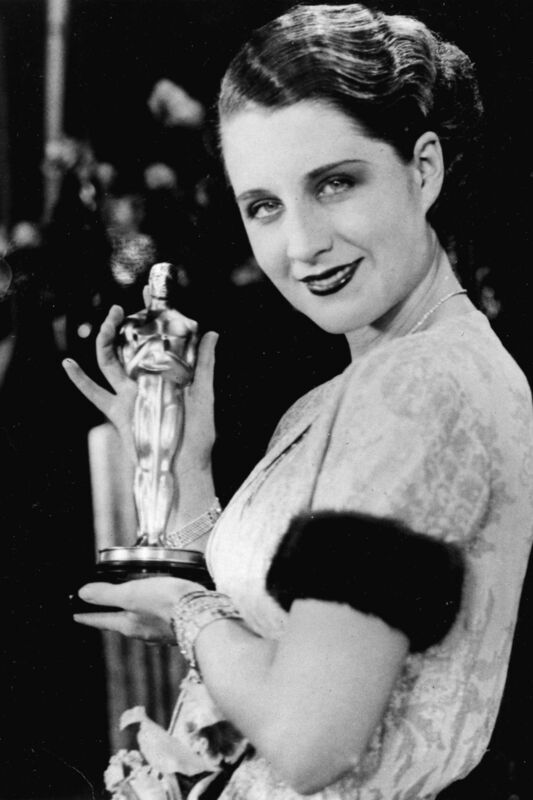 The Oscars are Sunday night. Check out these images from previous awards nights. That's the only option for residents living south of Davenport's 53rd Street as they watch the building of a Portillo's restaurant and three other buildings where nine homes were demolished last year. They lost the fight that rezoned a long-time residential neighborhood into 6½ acres of planned commercial, and now they can only wait and see what effect the development will have on stormwater and traffic in their neighborhood, between Lorton Avenue and Fairhaven Road, south of Costco Wholesale. The overriding problem, say neighbors Jeff Talbert and Craig McManus, is that city leaders were so eager for the $20 million development and the additional tax revenue it would bring that they approved rezoning for the development even though the infrastructure of their neighborhood — streets and storm sewer — doesn't support it. Read more. Jeff Talbert discusses the Portillo's development north of his home on Fairhaven Court in Davenport. Talbert and other residents in the area are concerned about the impact increased storm water runoff will have on their neighborhood where water is collected in above-ground drainage ditches. They also are concerned about increased traffic. The Portillo's development south of east 53rd Street and east of Lorton Avenue is installing two underground storm water retention tanks designed to slow the rate of water running into the surface drainage ditches located along Fairhaven Court and Lorton. These stacked yellow pieces clip together to form the tanks. The Portillo's development south of east 53rd Street and east of Lorton Avenue will include three other buildings in addition to Portillo's. Last year at this time, there were nine homes on this 6½-acre site. The Portillo's development south of east 53rd Street and east of Lorton Avenue is installing two underground storm water retention tanks designed to slow the rate of water run off into the surface drainage ditches located along Fairhaven Court and Lorton. Work progresses preparing the new Portillo’s restaurant on 53rd Street. Here a workman pushes crushed rock that will help filter storm water before it is released into the neighborhood. Storm water flows along surface drainage ditches into Hanlin's Creek that runs through the neighborhood. The drainage ditch alongside Lorton Avenue flows into Hanlin's Creek. This is the back yard of Lisa VanDamme after a rain storm last summer that sent water cascading across her lawn and ponding up against her fence. The Davenport Portillo's is expected to look like this version that opened in April in Peoria, Illinois. Food comes bagged in a signature hot dog-with-red-stripes design. Framed movie posters and pictures of movie stars decorate the walls. This was the view of the Portillo's site last summer when the developer was still doing its traffic impact study. The development was unanimously approved by the Davenport City Council on Aug. 22. The homes and trees were removed after that. This is how the corner of Lorton Avenue and 53rd Street in Davenport appeared last summer before the Portillo's development was approved and the homes and trees were removed. This is the corner of Fairhaven Road and 53rd Street, Monday, July 2, 2018, where a neighbor has a Notice of Rezoning Request sign in their yard. A notice of rezoning request staked at the corner of Fairhaven Road and 53rd Street was how some neighborhood residents learned that changes were in the offing. A framed picture of Marilyn Monroe in her famous gold dress dominates this art arrangement on a wall of a Peoria Portillo's. The exterior of a soon-to-be Portillo's restaurant on 53rd Street in Davenport is taking shape. This was the scene last fall of the retail development that will include Portillo's.